Shot from fourth showing of “Troia” DAVID RUANO. After Operetta and Allegro, Cor de Teatre, is planning to move in a more dramatic direction. They are to abandon sung scenes with comic sketches to retell the Iliad and the Odyssey, with their gods and heroes, both epic and pathetic. Troia, a real odyssey, opens this evening at the Municipal theatre of Girona and will run from December 13 to 30 at the TNC. 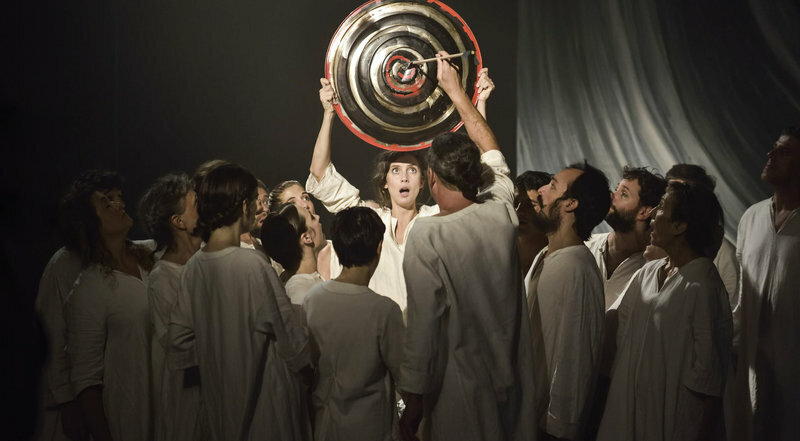 The 32 members of Cor de Teatre are the ones who are going to fight to get the public to enjoy this tragic (and sarcastic) retelling of the legend that is the birthplace of European literature.